Got Questions on Differentiated Instruction? Join the #ASCDL2L Chat! 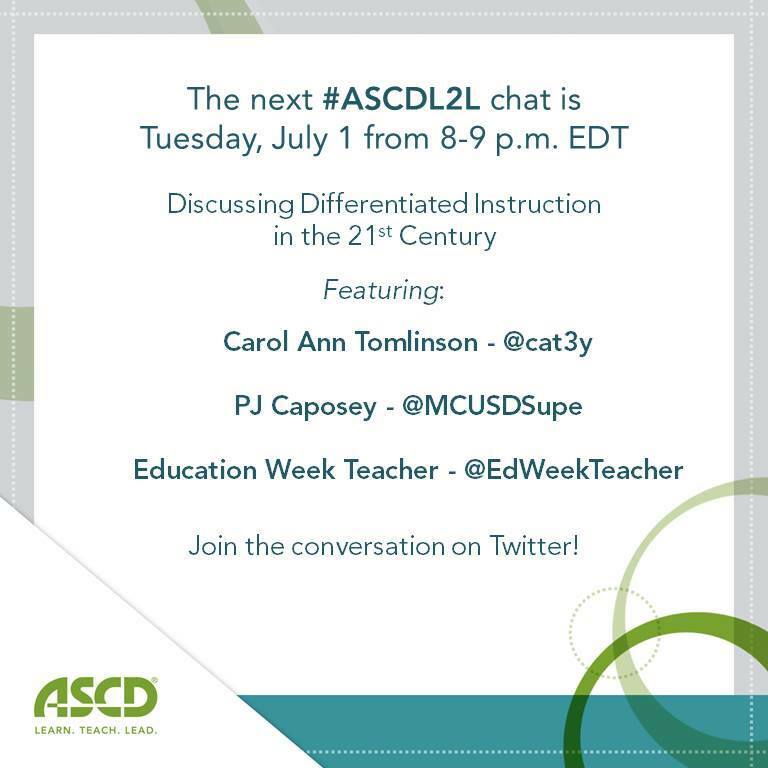 On Tuesday night, July 1, from 8–9 p.m. eastern time, join ASCD leaders and educators on Twitter for an #ASCDL2L chat discussing Differentiated Instruction in the 21st century. Carol Ann Tomlinson (@cat3y) will be the special guest author, 2013 Emerging Leader PJ Caposey (@MCUSDSupe) will moderate, and Education Week Teacher (@EdWeekTeacher) will be the guest host. We can' t wait to see you there! #ASCDL2L is a Twitter conversation for education leaders with monthly chats facilitated by ASCD leaders. If you care about improving the way educators learn, teach, and lead, join the #ASCDL2L conversation. Add your voice to our online community of educators.